Echo, Amazon’s AI powered smart speaker’s free run in the United Kingdom is nearly over as Google gears up to launch Google Home in the country. With the race for smartphone market share nearing its end, tech majors have found a new area of competition: smart home devices. Amazon launched the Echo family of devices that house Amazon’s virtual personal assistant service, Amazon Alexa, in October 2016, in the UK after selling them like hotcakes in the United States. According to a report from Consumer Intelligence Research Partners, or CIRP, there are now 8.2 million Amazon Echo devices in the United States. In November 2016 that count was 5.1 million, representing a 60% increase in a two-month period. That’s impressive growth for any hardware product, and a clear indicator that there is enough demand for such a device in the market. Several tech majors have their own versions of voice-controlled, AI-powered virtual assistants. Amazon has Alexa, Google has Google Assistant, Apple has Siri and Microsoft has Cortana. Even Samsung is possibly going to debut its Bixby virtual assistant on the Samsung Galaxy S8 when it launches tomorrow, March 29, 2017. Now that these companies have already built their back-end software, they are racing against each other to get the hardware part of the problem solved. Amazon was early to the race and Echo has run away with a huge lead. We still don’t know when Apple will get into the smart home speaker market but Microsoft has partnered with Harmon/Kardon, now a fully owned subsidiary of Samsung Electronics, to pair its personal assistant with a speaker. Google announced its smart speaker, Google Home, in May last year and unveiled it at the Google Pixel launch on October 4, 2016. 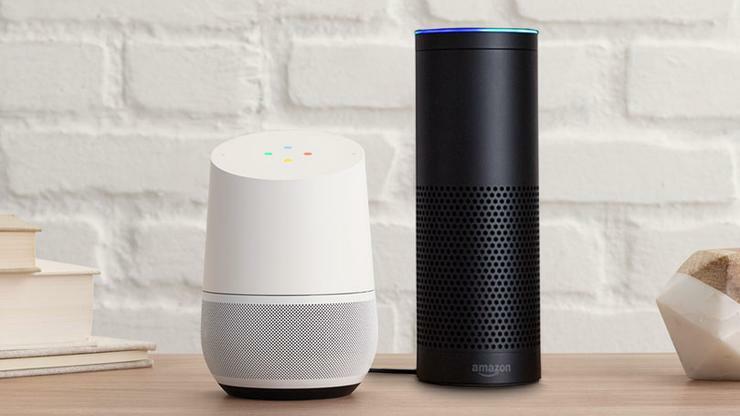 As for the UK, it has become the next battleground for the smart speaker wars between Amazon and Google. 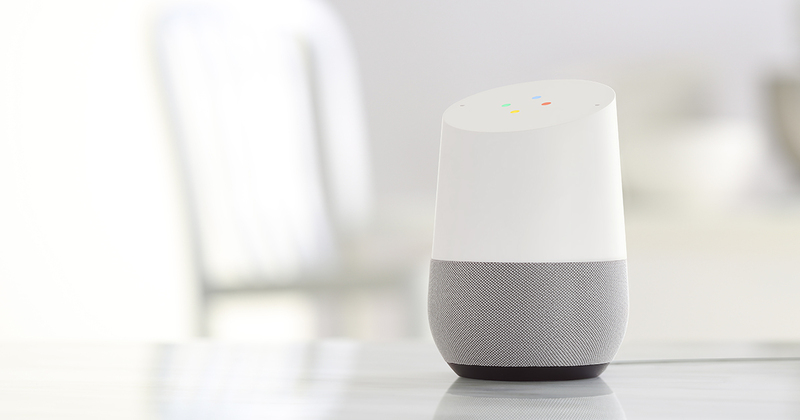 Optional base accessories allow you to customize Google Home with a simple twist and pull. Will Google Home show strong sales in the UK like Amazon Echo and other devices in the family did? Will Google Assistant be an instant hit the way Amazon Alexa was? Time will tell, but it is undeniable that the age of talking smart assistants has arrived.